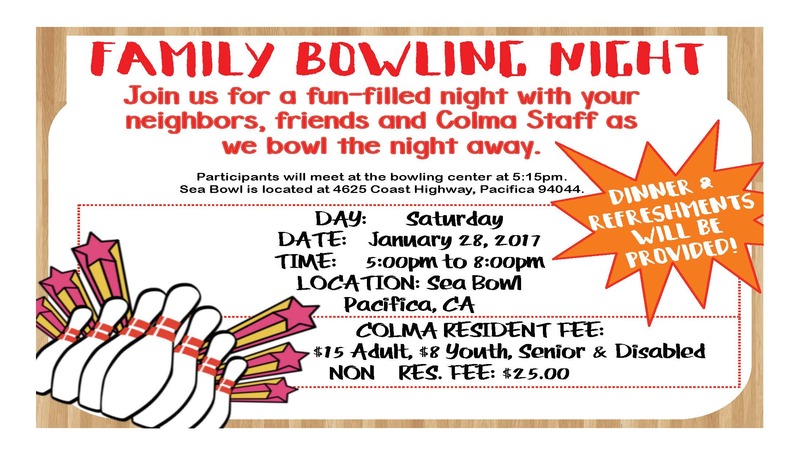 Join us for a fun-filled night with your neighbors, friends and Colma Staff as we bowl the night away at Sea Bowl. Participants will meet at the bowling center at 5:15pm. Prizes, dinner and refreshments will be provided! For directions or more information on this event please call us at 650-985-5678. Please register by January 17, 2018 to avoid this program from being canceled.